Golden Jojoba is a brilliant golden liquid that is expeller-pressed from the seed, filtered for purity and immediately package. Deodorized Golden Jojoba is a brilliant and golden liquid with the odor bodies removed. Natural Jojoba with color and odor bodies removed. 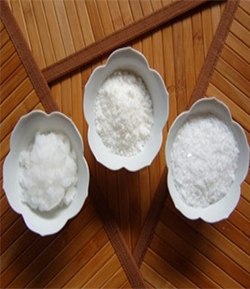 Recommended for formulations with high emphasis on fragrance and clear or white color. Purcell Jojoba was the world’s first producer of plantation-protected (non-wild) Certified Organic Jojoba. 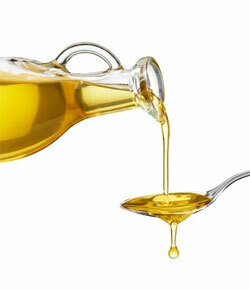 This product has a rich golden color, similar to our Golden Jojoba, but is derived from 460 acres of Jojoba trees. 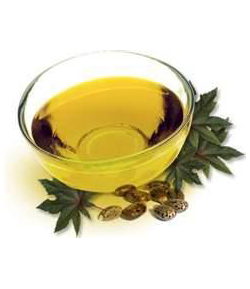 Purcell Jojoba offers Certified Organic Clear Jojoba that is clear and odorless. 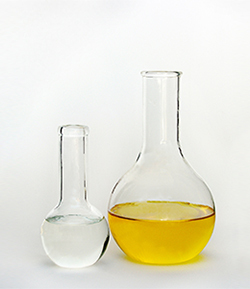 *Packaging for our oil is available in 1 gallon, 5 gallon, and 55 gallon containers. 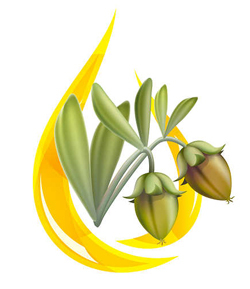 *Upon request QAI certificates are available for our Certified Organic Oils. These superb mechanical exfoliants, made from 100% Pure Natural Jojoba wax esters, provide safe yet aggressive exfoliation. Because of their spherical shape, Jojoba Beads will not leave micro-lacerations o n the skin like nutshell or pumice. 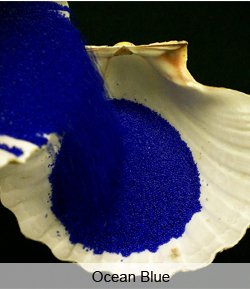 They rinse off easily, are 100% biodegradable and come in a variety of sizes: 20/40, 28/60, 40/60, and 60/100. 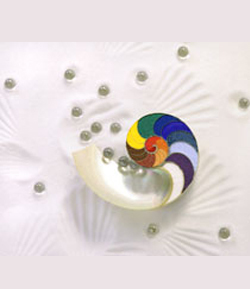 Our beads come in seven standard colors: Glacier, Red Hibiscus, Ocean Blue, Sierra Sky, Evergreen, Sequoia and Sweet Honey. Color matching is available in select cases of 100 kilo’s or more. 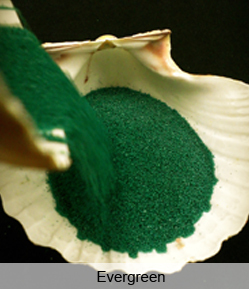 *Packaging for our beads is available in 10 kg, 50 kg, and 100 kg containers. 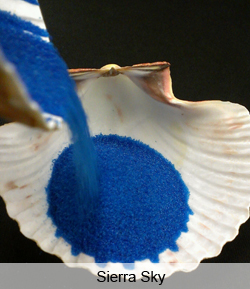 Good visual effect and aggressive exfoliation. For tougher skin areas such as feet. Applies widely to most body scrubs, shower gels, body polishes and exfoliating face masks. 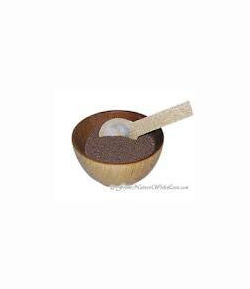 Fine exfoliation for delicate skin areas such as facial cleansers, as well as lip and cuticle. Smallest Jojoba beads for light exfoliation, great for sensitive skin and facial products. 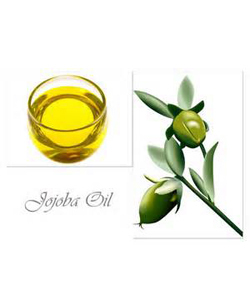 Jojoba Esters are made from 100% Pure Natural Jojoba. 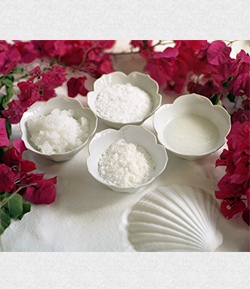 These Jojoba wax esters are biodegradable and excellent for oil-free products. There are five types available depending on desired thickness. Have a buttery consistency, are trans-free opposed to many other butters, and are great in body butters and lip-glosses. 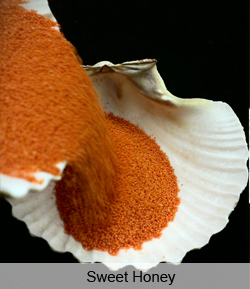 Is a creamy thickener, often used for body creams and lipsticks. Is dense yet light, great for blushes and compacts. 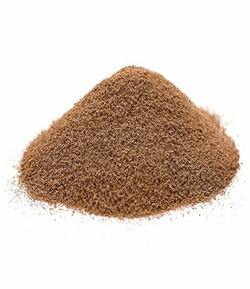 *Packaging for our esters is available in 10 kg containers. 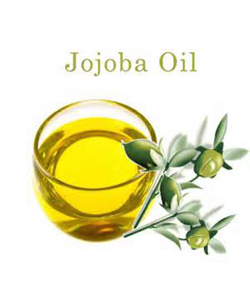 Jojoba Meal is composed of fine particle of crushed Jojoba seed that remain after the mechanical extraction of Jojoba oil. Our Jojoba Meal is mesh size 30/60. *Packaging for our meal is available in 50lb and 100lb containers.